condoghost Feb 17 2015 5:53 am The Bicycle Thief Was Bad "Nippon no jitensha dorobô". 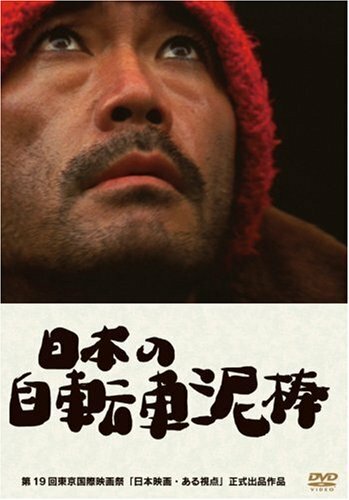 Steel-worker Saito Tetsuo, driven by an unexplained anxiety, steals bike after bike to move away from his hometown to Tokyo. Through snow-storms and empty landscapes, the breathtaking photography allows us to look deep into the mindscape of a man searching for an answer - although the question itself is never quite articulated.